Today, I am thinking about those times when things get down to the wire. If there’s one situation that can rattle me it is when things get down to the wire. Yet over the years, I’ve learned to remind myself of two things. One: I serve a promise-keeping God; and two: God can do His best work when things get down to the wire. That’s likely because, as the saying goes, I am no longer trying to fix, manage, and control things, but I have come to a place of surrender. When I turn to the Scriptures, I think about David’s life and how things got down to the wire for him on more than one occasion. In the first instance, God had promised David that he would be crowned king. We know that David was named king, but he wasn’t crowned king until thirteen years later. It was during these intervening years that he might have thought that God had rescinded His promise or had second thoughts, but we know that in the end, David was crowned king. The second instance was when God promised David that he would have an everlasting family line. Yet on more than one occasion, David’s family dwindled. It got down to the wire with just one or two family members. Yet in the end, David had an everlasting family line. 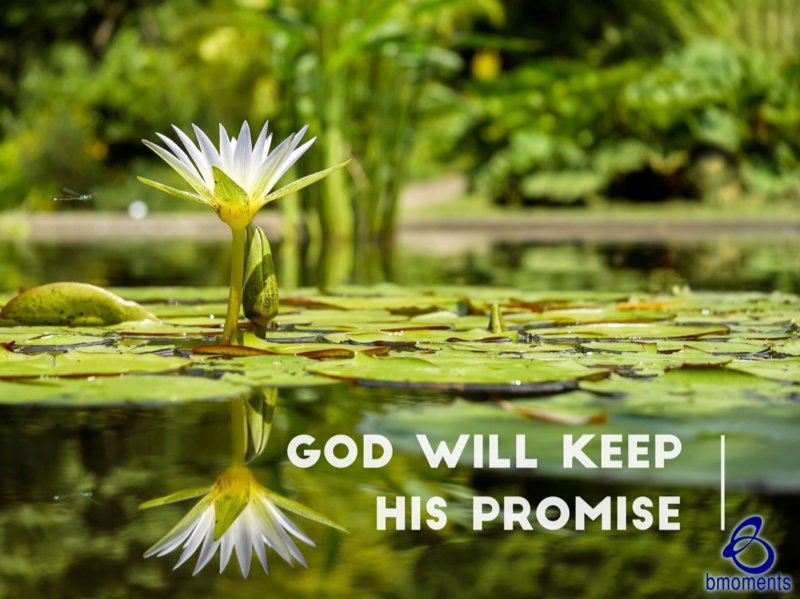 So today, remember that you serve a promise-keeping God.